Review of The Watchdogs Didn’t Bark: The CIA, NSA, and the Crimes of the War on Terror (Hot Books, 2018). About the same time Bob Woodward’s Fear began grabbing public attention, another, similar book hit the newsstands. Like Fear, it too is heavily based on the accounts of a select few government insiders, though in this case their allegations aren’t made anonymously. And like Fear, it also paints a portrait of the hidden hand of a “deep state” of sorts working to influence government policy — only not for the benevolent goal of supposedly reining in an unhinged leader, but for the purpose of covering up its own incompetence and concentrating power in its own hands. Ray Nowosielski and John Duffy’s The Watchdogs Didn’t Bark: The CIA, NSA, and the Crimes of the War on Terror was years in the making. Parts of it have intermittently been released over the years, perhaps most notably in the form of the 2011 documentary podcast Who is Rich Blee? Nowosielski and Duffy chased down leads and interviewed former government officials over the span of a decade, not always with adequate financing. Clarke’s theory — implicating not just a vast swathe of the US security state, but his former close friend and colleague, ex-CIA director George Tenet — isn’t one he decided to carelessly throw out one day. Clarke originally offered the theory in a 2009 interview that made some headlines when it was released by the authors on the ten-year anniversary of September 11 two years later. Seven years after that interview, following the release of the previously classified 28 pages of the 9/11 Commission report, Clarke again floated the theory in an op-ed for ABC News. He’s also not alone. As the authors note, “more and more counterterror agents have come to believe that this theory is accurate.” Rossini came to believe that “it can be proven circumstantially the CIA was engaged in a recruitment operation within the United States” and didn’t want the FBI to interfere. Wilkerson claims he heard from both low-level and three different executive-level CIA officers that the agency was trying to turn someone inside the country. Of course, until more concrete evidence turns up, the theory will remain conjecture. But what is incontrovertible — and what Nowosielski and Duffy lay out at length and in detail in the book — is that, whatever the reason, the CIA not only knew about the presence of Al Qaeda operatives Mindhar and Nawaf al-Hazmi in the US, but that they repeatedly declined to inform the FBI and other authorities about it, left out crucial information, and even misled the FBI and others about it. The figures involved ranged from the very highest level of the CIA in the form of its director, Tenet, to lower level executives who consistently blocked the relay of information. The NSA is also implicated. One source, referred to only as “Nicholas,” recounts how a CIA official had requested NSA information not to be passed on to the FBI. Drake recalls his horror at reading a detailed report into Al Qaeda produced by the NSA’s “CounterTerror Shop,” mapping out the planning cells for September 11, and even operational details like the use of planes (then-NSA director Michael Hayden would nonetheless later tell a congressional inquiry that the NSA had no evidence Al Qaeda was planning an attack on US soil). Several NSA employees recount seeing a man crying in the agency’s halls two days after the attacks, wailing that no one would’ve had to die if they’d just been allowed to issue the reports they wrote. Perhaps most galling is that these willful failures were quickly leveraged by those same agencies for their own benefit. The Saturday after the attacks, Tenet pushed Bush to expand the CIA’s size, budget, and powers, including putting in place the global drone assassination program that Obama would later make his own. This all may seem like ancient history. But as Nowosielski and Duffy lay out, those involved in blocking the sharing of intelligence with the FBI – and who then stonewalled the investigations into what went wrong and how – failed upwards, having been protected and subsequently promoted within the CIA’s ranks, while those who blew the whistle internally and externally were punished and purged. The officers who allegedly inadvertently facilitated the worst terrorist attack on US soil, helped cover it up, then indulged in criminality as part of the resulting “war on terror,” ended up running the CIA. That’s not to mention the fact that the bloated, opaque, and unprecedentedly powerful security state that exists today is a direct result of their actions. That Nowosielski and Duffy’s book should come out when the CIA and intelligence officials more generally are enjoying a renaissance in their public standing is deeply ironic. 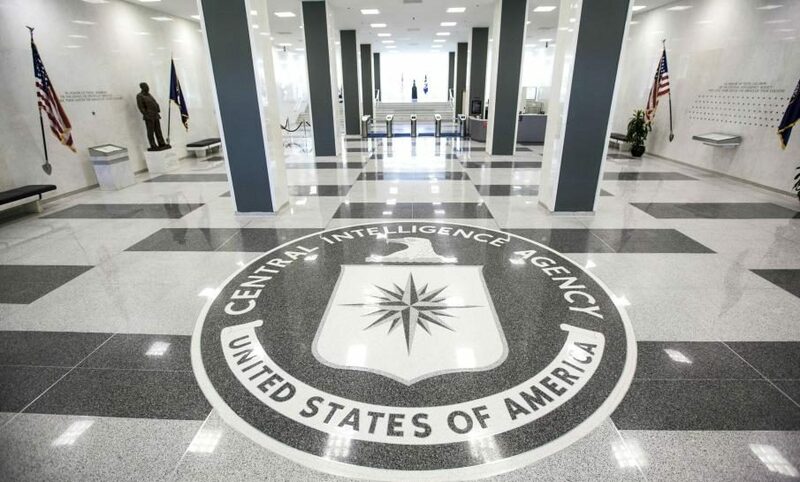 Democrats and independents in particular have embraced the CIA in the last two years, viewing the intelligence community — despite its long history of infiltrating domestic antiwar movements and overthrowing democratically elected leftist leaders abroad and carrying out assassinations by drone and generally serving as a key arm of the US’s reactionary and imperialist agenda abroad — as a bulwark against Trump and the authoritarian tendencies he represents, largely due to his frequent, open displays of disrespect towards those same agencies, and their response in kind. Yet for anyone who views left-wing objections to this rehabilitation as a pesky form of unreasonable “purity politics” by radicals, The Watchdogs Didn’t Bark is as good a compendium as you’re likely to find of the CIA’s corrosive impact on US society in the modern era, as well as the culture of deceit and lawlessness that pervades the agency. That this same agency its former officers are now viewed as the last line of defense for democracy is a testament to the deeply confused liberal politics of the Trump era. Those intimately familiar with the ins and outs of the story of the so-called “intelligence failure” that led to September 11 will also find plenty of new reporting here to make its 255 pages a worthwhile read. While political figures continue to compare Russia’s actions in the 2016 election to September 11, the actual September 11 and its key facts continue to be as troubling as they are mysterious nearly two decades after the Twin Towers collapsed. The US officials in power during the attack are happy to wave their arms at the Russia scandal, perhaps hoping the public will forget. Nowosielski and Duffy serve a timely reminder here that we mustn’t. You can read Woodward’s book to get a sense of how the Trump presidency works. But if you want to know how the real, permanent power in Washington operates, leaf through The Watchdogs Didn’t Bark.